Rochester, Minnesota, is known for a few things you might not expect to see in a city of its size. In addition to "excellent health care," livability.com, which recently named Rochester the second best small to mid-sized city in America, highlights the city's "creative vibe" as well as its "stable economy, recreational assets, and a large collection of restaurants and unique shops." Rochester, it turns out, is also known for wheelchairs -- abandoned Mayo Clinic-owned-and-issued wheelchairs, which are scattered about the city. According to a story by Minnesota Public Radio (which has been picked up by others, including the St. Paul Pioneer Press and Washington Times), that's just part of life in Rochester. "From city parking ramps and downtown sidewalks to park trails and the local mall, the chairs have an inescapable presence," MPR's Elizabeth Baier notes. When asked about seeing abandoned Mayo Clinic wheelchairs throughout the city, Rochester resident Denny Scanlan tells MPR, "Well, I see them kind of everywhere we go, I guess -- where you least expect them." To which his wife, Carol, adds: "We're so used to it that I don't even notice it." 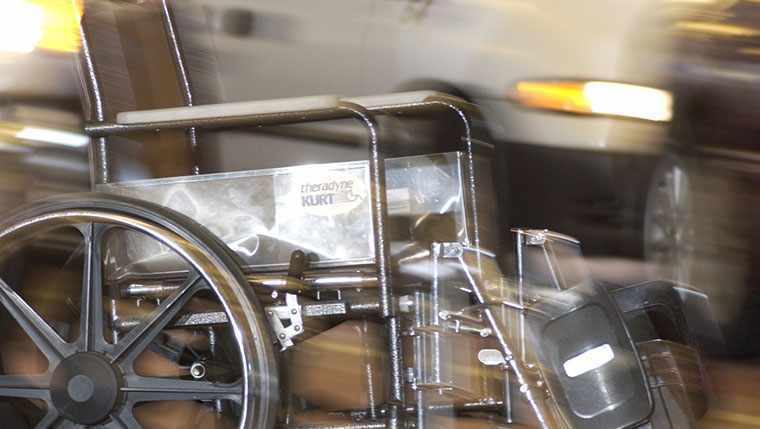 Ralph Marquez, a manager in General Service at Mayo, tells MPR that about 150 of Mayo's 1,180 patient wheelchairs typically go missing each year. He says they can turn up in some pretty interesting and far-off places. "We've gotten calls from the Orlando Airport," he says. "Goodwill up in Duluth had one of our chairs, and luckily we were able to retrieve that one. We've had them in Denver, out east in a few airports … They wind up everywhere." And while there is a cost associated with those chairs that never quite make it back, Marquez says it pales in comparison to the service they provide to the patients who need them. "If the patient truly comes first, sometimes that's the expense of the business," he tells MPR. Mayo uses a local courier service in Rochester to round up abandoned wheelchairs that are reported each week by hotels, the downtown library, and other locations. If you happen to see one during your travels, Marquez asks that you call General Service at 507-266-7100 to help bring the wayward chairs back home. You can help bring this story home by sharing your comments below and by sharing this story with others via the social media icons above.